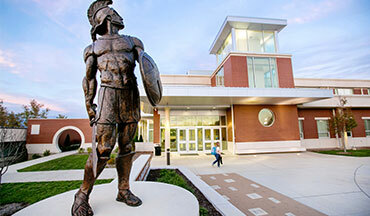 Missouri Baptist University’s Humanities Division provides curricula leading to professional certificates, general education and degree requirements in an environment where academic excellence is emphasized and a Christian perspective is maintained. The Humanities Division seeks to give students a broad basis in the liberal arts tradition from a Christian worldview, integrating faith and learning in literature, languages, ethical and philosophical trends affecting the society of today; enhancing the development of a broad spiritual and intellectual foundation; and cultivating the ability to function efficiently in an increasingly diverse and global age. Theological study has been relegated to the academy and is often divorced from the life of the church. At a distance of two millennia from the New Testament era, there may indeed be a need for special training for those who minister the Word of God; but the New Testament itself does not envision any locus for such training apart from the local congregation. In a time when professionalization and academic credentials are emphasized, the study of theology needs to be undertaken as an adjunct of church life, with a concern for the church, and with the goal of feeding theological truth back into the church. Modern theological study has often taken its cues from the surrounding culture instead of occupying the ground established by divine revelation and thus speaking an alien word to the culture. In recent times this has meant surrendering the concept of “truth” and acceding to the relativism of modern thought, relegating “religion” to the realm of subjective personal preference. In contrast, the core of a common Christian theology must be seen as the expression of divinely-revealed truth, valid for and making claims upon all people. Many classes are offered face-to-face in the traditional classroom setting as well as online. Students pursuing the MACM will have the option of completing the program online or through a hybrid approach that blends both online and classroom instruction. Request information about MBU Graduate programs.